After nearly 3 years, the wait is finally over! CLARITY is STRIKE A POSE!!! Films first attempt at the mystery/thriller genre, and a more serious take in tone than what we usually offer. A unique head-scratcher with flavors of Lynch, Nolan, and our own brand of nuttiness. In CLARITY, Sam Anderson plays the Detective, a man who is seeking for answers, and possibly a score to settle. Damien McCoy plays the Boy, a young man who is seeking his lost girlfriend, who disappeared without a trace just the night before. Lurking about in his memories is Whitney Arkin, in her first STRIKE A POSE!!! role, as the Girl: A victim caught in the manacles of a serial killer known only as the Venetian. In his stunning first performance since Ascension, Bob Novich returns to the digital screen as the killer, bringing terror to the scenes. As the Boy tries to convince the Detective of his girlfriend’s existence, the Detective begins to submerge himself in his own memories of his lost love, a woman taken from him under unnervingly similar circumstances. Can they find the girl in time? Or is she just a figment of the boy’s imagination? Why doesn’t she appear in any phone book or database? What is the game the Venetian is playing? CLARITY is directed and edited by Dylan Hintz. Starring Sam Anderson, Damien McCoy, Bob Novich, and introducing Whitney Arkin. Music by Damien McCoy. Watch it now, and see the outtakes later this week! Thank you all for joining in on its premiere! The long road has been well worth it! Just Two More Days till Clarity! That’s right, folks! Just two more days until the world-wide internet premiere of CLARITY. The trailer is also now available on Facebook, and please join our new group through the social network everyone seems to be on! Be sure to be the first to see it here, and comment on it’s film page, currently hosting the trailer in High Quality. I’m gettin’ shivers just waiting for it to come out! Aren’t you? Leave some love in the comments! Be sure to check out higher quality here as well! The full movie will premier here! Starring SAM ANDERSON, DAMIEN McCOY, WHITNEY ARKIN, AND BOB NOVICH. Music by Brett McCoy, http://www.electricminstrel.com , make sure to tour his wonderful music site! 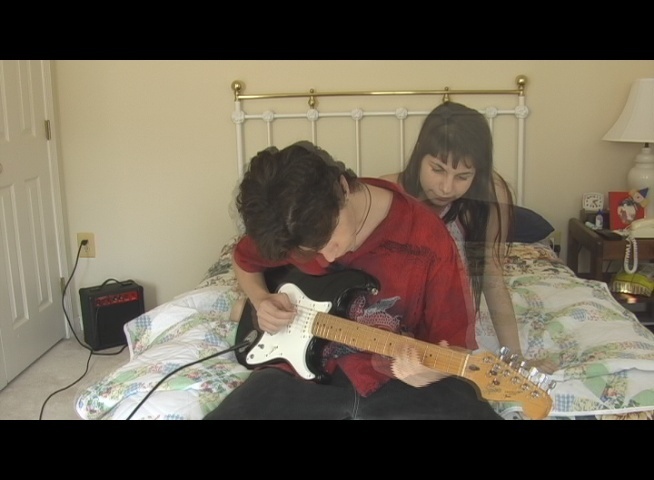 CLARITY WILL PREMIER THIS VALENTINE’S DAY, 2010, at 7PM! BE HERE TO SOLVE THE MYSTERY! 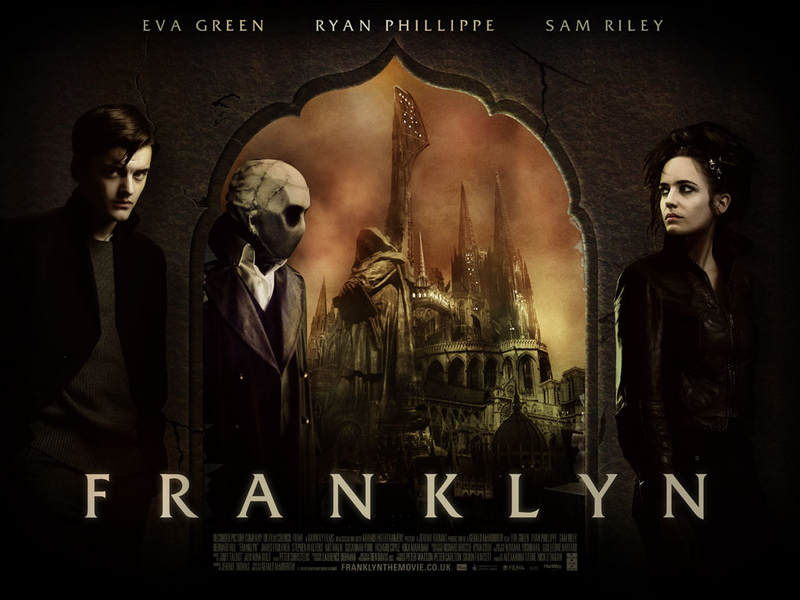 A while back I was doing previews for this site and I mentioned a small-budget (nearly independent) British film, Franklyn, from first time feature writer-director Gerald McMorrow. You can check that out here, trailer included for your previewing pleasure: http://strikeaposefilms.com/2009/02/05/previewfranklyn …wait a second…there’s something funny about that link…oh well I’m sure it’ll come to me by the end of the review. FRANKLYN is a tale of four very non-connected people being tugged in by that ever-so-invisible fishing line we’re all being reeled in by: Fate. Layered on top of this drama is an action-packed meta-narrative taking place in an abstract alternate world: “Meanwhile City”, a Metropolis-styled Florence with shades of Gotham City, populated claustraphobically with zealots in clothes that could only have been designed by Jim Henson and Tim Burton tripping together acid tabs. In that sense, it sort of plays out like 21 Grams in terms of character and narrative, with the aesthetic sidelines of Dark City-meets-Watchmen. Granted, FRANKLYN was released before the Watchmen film, but it’s safe to say one character was at least texturally inspired by its nihilistic narrator in the squidgy mask. Does this mix of human drama and otherworld comic-babble work? Well, yes and no. Not 100%. Our four characters each have their own (and I must stress- VERY SEPARATE) narrative strands dealing with the themes of loss, perceptions of reality, faith, and fate. In terms of loss and perception it succeeds on so many levels, but by adding the extra non-Meanwhile characters into the mix, the final product is a little unbalanced. However it’s still one hell of a trip to Disneyland, a remarkable interlude of events that almost feels vacation-like in comparison to the hum-drumness of modern-day emotional disorders. That’s not to say in the least that the other characters are dull, they merit fascination on their own levels . In London, Eva Green plays Emelia (and another character, but we’ll stick to this), a college art student who’s thesis is filming her own suicide attempts, setting up the situations so paramedics have ample time to pick her up before she knocks on heaven’s door. Her dangerous project is somehow connected to childhood resentments towards her father and mother, which is only briefly examined. MEANWHILE, going fist-to-cuffs against Authority in a brown leather trench coat, Ryan Phillipe plays our masked vigilante, John Preest, on a mission against God. But is his vengeful mission real or in his head? In a fantastic use of cinematic distortion, Preest is never in London, occupying only the world he aesthetically belongs to. As he never is shown physically crossing over into contemporary London, the question grows: Which reality is real, or more importantly, more pertinent? The oldest character attempts to tie up this question. Peter Esser, played by a soft-spoken Bernard Hill, wanders around London in search of his missing son, giving the London setting also a narrative through line that the Emelia strand lacks. While his character is the least developed of the three Londoners, it is only in conjunction with Preest’s story that there is some sort of narrative “doom” approaching, something to keep the audience looking forward, instead of mulling over the tricky details of the jigsaw plot they’ve been trying to follow. Thankfully, this is one of the story’s stronger points, for without it, writer-director Gerald McMorrow’s tale wouldn’t have enough suspense to keep this tangled ball of yarn rolling. Each of these threads are intriguing, but some seem more occupational than others. Sam Riley, for instance, plays the heartbroken Milo, and very well I might add. He’s got a quiet, tender look that draws the viewer into his hurt. Just like all the other characters. However, his story strand is about a failed relationship, a seemingly doomed-before-it-started marriage, and his musings on childhood inspired true love that may or may not have been fabricated. Emelia, Preest and Esser’s stories link stylistically and emotionally on a more successful level, and meet up quite appropriately by the end. Milo’s, on the other hand, is simply used as a tool to perform one of the few predictable moments of the film. It’s a shame, because on his own merit, Sam Riley gives a strong performance and the story itself would make for a half-decent short film. It’s not that it doesn’t feel at home with the piece, it’s just that it doesn’t reach the same caliber of anguish that the other characters must be going through. Yes, it follows the theme of perception, and to an event more supernatural extent, faith and fate. But by the end of the movie Milo’s payoff is cheap and, dare I say, Hollywood? I really shouldn’t, this movie is about as anti-Hollywood as you can get, even while wearing a mask and fighting a fascist state. More time would have been better spent on developing the personal demons of the other three characters. We only get, criminally enough, one brief don’t-blink-or-you’ll-miss-it shot of why Emelia is so determined on not-killing herself over her father. The fate of Esser’s son may come clean by the end, but Preest’s motivation towards saving a little girl’s life is hardly revealed– it floats in the background but never reaches the surface. Movies like this toe the line between rewatchable intrigue and an infuriating desire to ram your finger into the pause button. As for my own evaluation, I’m gonna have to say I find this movie the former, even if during its viewing I was leaning towards the latter, and gladly would watch it again and again if not just for its cool visuals, well-directed acting, and incredible piano score. The mood of this movie is always appropriate, even when it jars you from personal stories of emotional breakdowns to moments of hardboiled-fantasy action. Even more of a plus is when the final twist plays out, the mystery 0f Meanwhile City will make sense, and fortunately it’s the groovy kind of sense that a lot of first time writer-directors aspire, often fruitlessly, to convey.